Claim: Air pollution may have masked mid-20th Century sea ice loss | Watts Up With That? Melt pools on melting sea-ice. 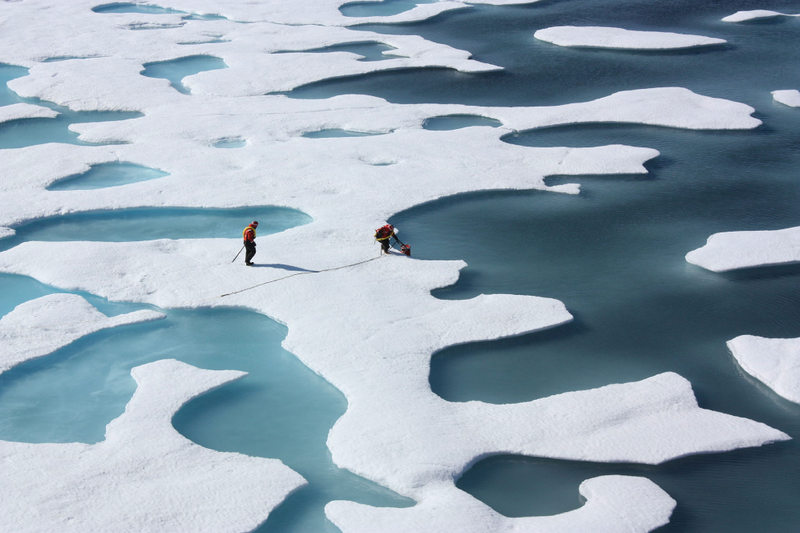 New research shows humans may have been altering Arctic sea ice longer than previously thought. Credit: NASA. WASHINGTON, DC — Humans may have been altering Arctic sea ice longer than previously thought, according to researchers studying the effects of air pollution on sea ice growth in the mid-20th Century. The new results challenge the perception that Arctic sea ice extent was unperturbed by human-caused climate change until the 1970s. Scientists have observed Arctic sea ice loss since the mid-1970s and some climate model simulations have shown the region was losing sea ice as far back as 1950. In a new study, recently recovered Russian observations show an increase in sea ice from 1950 to 1975 as large as the subsequent decrease in sea ice observed from 1975 to 2005. The new observations of mid-century sea ice expansion led researchers behind the new study to the search for the cause. The new study supports the idea that air pollution is to blame for the observed Arctic sea ice expansion. Particles of air pollution that come primarily from the burning of fossil fuels may have temporarily hidden the effects of global warming in the third quarter of the 20th Century in the eastern Arctic, the researchers say. These particles, called sulfate aerosols, reflect sunlight back into space and cool the surface. This cooling effect may have disguised the influence of global warming on Arctic sea ice and may have resulted in sea ice growth recorded by Russian aerial surveys in the region from 1950 through 1975, according to the new research. “The cooling impact from increasing aerosols more than masked the warming impact from increasing greenhouse gases,” said John Fyfe, a senior scientist at Environment and Climate Change Canada in Victoria and a co-author of the new study accepted for publication in Geophysical Research Letters, a journal of the American Geophysical Union. To test the aerosol idea, researchers used computer modeling to simulate sulfate aerosols in the Arctic from 1950 through 1975. Concentrations of sulfate aerosols were especially high during these years before regulations like the Clean Air Act limited sulfur dioxide emissions that produce sulfate aerosols. The study’s authors then matched the sulfate aerosol simulations to Russian observational data that suggested a substantial amount of sea ice growth during those years in the eastern Arctic. The resulting simulations show the cooling contribution of aerosols offset the ongoing warming effect of increasing greenhouse gases over the mid-twentieth century in that part of the Arctic. This would explain the expansion of the Arctic sea ice cover in those years, according to the new study. Aerosols spend only days or weeks in the atmosphere so their effects are short-lived. The weak aerosol cooling effect diminished after 1980, following the enactment of clean air regulations. In the absence of this cooling effect, the warming effect of long-lived greenhouse gases like carbon dioxide has prevailed, leading to Arctic sea ice loss, according to the study’s authors. The new study helps sort out the swings in Arctic sea ice cover that have been observed over the last 75 years, which is important for a better understanding of sea ice behavior and for predicting its behavior in the future, according to Fyfe. The new study’s use of both observations and modeling is a good way to attribute the Arctic sea ice growth to sulfate aerosols, said Cecilia Bitz, a sea ice researcher at the University of Washington in Seattle who has also looked into the effects of aerosols on Arctic ice. The sea ice record prior to satellite images is “very sparse,” added Bitz, who was not involved in the new study. Bitz also points out that some aerosols may have encouraged sea ice to retreat. Black carbon, for instance, is a pollutant from forest fires and other wood and fossil fuel burning that can darken ice and cause it to melt faster when the sun is up – the opposite effect of sulfates. Also, black carbon emissions in some parts of the Arctic are still quite common, she said. February 24, 2017 in Aerosols, Sea ice. ← The Atlantic: Is it OK to enjoy Warm Winter Weather? Who needs data? We have simulations! I am sure that the deposition of carbon did effect the ice, but still. So what they have really “discovered” is that AGW is little to do with GHG and was simply a result of cleaning up our act and removing the global COOLING produced by earlier REAL pollution. It was the Clean Air Act what done it. Once again the cooling of the stratosphere ( which shows effects opposite to the lower climate system ) shows changes due to the two main volcanic eruptions. After the particulate matter and aerosols have dropped out there is also a long-term depletion of stratospheric ozone ( 5 to 8% less after Pinatubo ) . It is likely that the mechanisms that remove the volcanic ejecta also remove other natural and anthropogenic stratospheric pollution. The relative importance of these factors, which reduce the opacity of the stratosphere and allow more energy reach the lower atmosphere, has not been accurately determined. GW is due to changes in atmospheric composition but not trace amounts of CO2. The biggest mistake in this study of sea ice changes is that they are now assuming that the Clean Air Act which ONLY affected the US air pollution had profound effects on climate. This is really over-inflating minor changes in climate factors and continues to ignore the more than 50 major climate factors that the climate models do not include. Do climate models fully consider how we changed the specific heat capacity and thermal transmissivity of the surface of the earth due to our own urbanization? What about WWII? There was a lot of global air pollution produced during those years. You can see why it is convenient for sea ice alarmists to start their graphs in 1979. Inconveniently, however, the Nimbus 5 measurements show that Arctic sea ice extent was increasing during the chilly 1970s. The units in that graph are millions of sq-km, but they used an ice concentration threshold of 10%, rather than 15%, which makes the numbers a bit larger. That 1979 peak appears to represent a growth of somewhere between 0.5 and 1.0 million sq-km over five years. For comparison, since the 1980s it appears that Arctic ice extent maximums have declined about 1 million sq-km, and minimums by about twice that. So it appears that at least half of the current over-hyped decline in Arctic sea ice is due to the anomalous 1979 starting point. I imagine that if you asked why the IPCC no longer uses sea ice data from prior to 1979 you’d be told that the Nimbus 7 multichannel instrument was superior to the earlier instrument aboard Nimbus 5. That is true, but, as you can see in the FAR graph, above, it is also true that the 1979 starting point is very convenient to the alarmist narrative of steadily declining Arctic ice. I would love to see this data. Does anyone know where it can be accessed? Let us hope it is more reliable than the data from the Russian cities that fudged the numbers to get more fuel from the central government during the USSR period. Footnotes 3 and 4 to essay Northwest Passage in ebook Blowing Smoke. The latter is a complilation in English of older Russian sea literature. Dave – Have you seen this graph from the NSIDC? If so, what do you make of it? AFWetware – Have you seen this? Sounds like a tiny fragment of anecdotal evidence to me. Have you seen this? If so, what do you make of it? What do you make of the NSIDC’s 1953-2012 graph for that matter? Well it sure seems to seriously contradict the claims of the paper regarding ice extent gains from 1950-1975 being the same as the 1975-2005 decline. 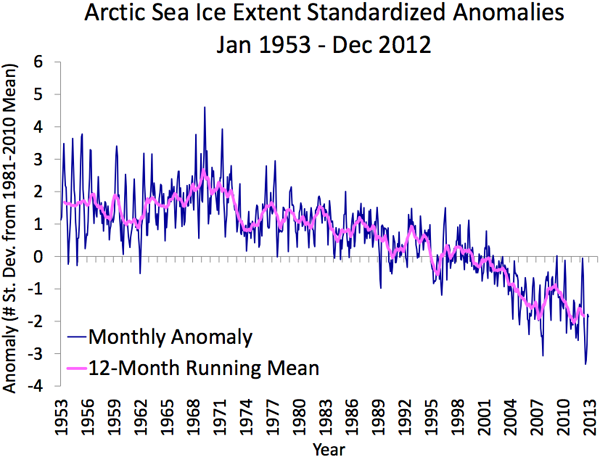 That is, unless the sea ice extent gains from 1950-1953 (leading to your chart) were absofreaking unbelievable. Global warming (since the Little Ice Age) melts ice. Big deal. It certainly looks as though the ice has been melting for the last 20 years, does it not? Big deal? The ice melts. So what? You are at or near the top of an interstadial warm period. Expect ice to melt. CO2 will be increasing partly because the Earth is also greening year after year from an abundance of rain. Civilized life is abundant, food is plentiful, and growing old is exceedingly pleasant. There will be occasional moist heat spikes and a few dry ones as the last of overabundant heat is discharged from our oceanic storage battery. Too bad we haven’t figured out a way to keep that battery full of heat. Feel better? It seems we’re agreed that Arctic sea ice is melting at the moment. Perhaps we can now stop the Gish gallop and get back to my point about where the 20th century peaks and troughs were, and the OPs point about whether “air pollution” had anything to do with that? And once again, aerosols come to rescue of climate modelers who can’t reconcile historical measurements with their models. Aerosols – unverifiable, undetectable, and unmeasured. The fact that there no records regarding how much and what types of aerosols were being released during this time is a major plus. As it allows the “researchers” to pick whatever value makes their models work best. The piece does say – “To test the aerosol idea, researchers used computer modeling ” – so, for sure, it looks like, to get more grants, they picked values which would tend to bulk up their grants. Is there something in their idea that humans might have affected sea-ice 1950-1975? Probably – or possibly, anyway. To some unknown extent. But models don’t prove that. Models are horoscopes with numbers. Is there much in the way of monitoring emissions even now? Just what I was going to write after I read the article. Aerosols and volcanoes as a tool to rescue the CO2 as temperature tuning knob theme, despite the evidence. Cherry picking (special pleading) is the favorite tool of the zealots. Sneaky little devils, aren’t they. I feel another temperature adjustment in the making. It will depend on whether HADISST is updated to reflect the “new” recovered observations. 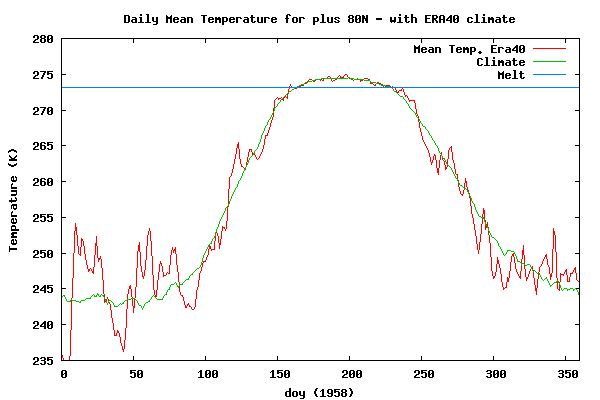 EVERY historical estimate of past temperature is an…. estimate. That means, as “new” data comes in, the possibility of revising our estimate of the past exists. Changes would be limited to the arctic and would be small, like the changes made when folks moved to the new version of ice maps.. I thought dark matter was what kept falling on the ice, making it melt. Don’t forget the Universal Law of Dust and Soot. Dark dust and soot only fall on light objects and light dusk and soot only fall on dark objects. But they can be MODELED ! Clearly snowsnakes had an effect. 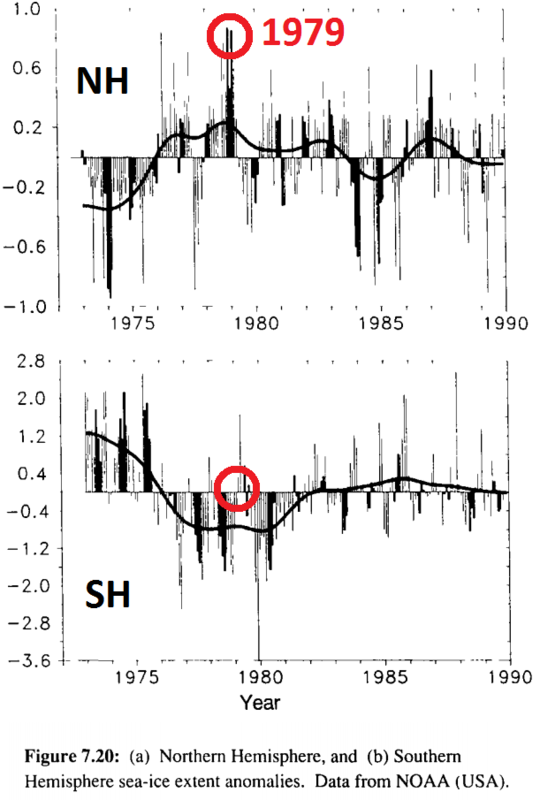 The heavy upswing in snowsnake traffic due to increasing snowsled activity after 1979 cause snow compaction which raised the thermal conductivity of the snow allowing the ice to warm more quickly in the fall and spring. However in the winter, the increased thermal conductivity allowed heat radiating up from the underlying water to escape which increased the ice thickness at the top but not the bottom. Wait wait, my model is so confused. Maybe it needs some black carbon, not that nasty soot. Or is it dark matter that is missing? At any rate, I am sure it was snowsnakes. 95% confident. Apply for a grant to study snow snakes, and sandsnakes in, say, Las Vegas or the Bahamas. 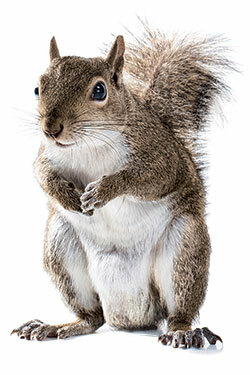 Plainly important – if linked appropriately to, say, climate change . . . . The grant would need to be in the hundreds of thousands, minimum, per year. Just not out of my taxes. They “found” the result they wanted. Quelle surprise. Let me see if I really understand. They used computer modeling to simulate sulfate aerosols in the Arctic from 1950 through 1975. Then they compared these simulations with the ice coverage recorded by Russian aerial surveys in the region from 1950 through 1975. From that they concluded that it was the aerosols that dun it. And the AMO is nowhere to be found. Sneaky AMO that. We were told 20 years ago that CO2 was so powerful that it had completely over powered all of the natural cycles. That’s why they didn’t need to worry about those cycles when writing or tuning their models. Now all they have to do is erase the natural cycles from the climate record and once again they will be proven correct. Tweak a computer model to support a hypothesis that alarmists have as to why a chaotic system didn’t behave as they thought and wa la, we were right all along, see, we nailed it. Can anyone say confirmation bias of the first order. Too Transparent. According to Stevens most recent paper, the aerosol cooling effect is at most half of what was previously modeled. Nic Lewis recalulated ECS using Stevens data, and found ECS~1.5 compared to the 2014 Lewis and Curry estimate of ~1.65 using AR5 values. More important than Arctic ice. Aerosols have a coalescing effect, leading to cloud formation ? They have two effects. One is direct increase in atmospheric albedo. E.g. Volcanic aerosols injected into the stratosphere. (See essay Blowing Smoke in ebook of same name for details.) You are correct that the other is cloud nucleation, which also increases albedo and cools on average. The same process of coalescing has been used for many years in vacuum processing equiptment. Example water and gas removal from oils, using coalescing cartridges or filters inside the chamber. The cartridge has thousnads of very fine fibreglass fibres. Oil flows into the vacuum chamber through the filters (inside to outside flow). As the oil is exposed to the surface and more importantly the end tips of the fibres where temperature and surface area is increased promoting seperation of the gases and dissolved water. The water leaves as vapor. The same dissolved state but into a different fluid. This can occur very succesfully at pressures of up and above 200mbar. Ob, thanks for that comment. Something I did not know, now filed away for future reference. The fallacy was that the oil had to be hot to facilitate release. We developed systems that operated just as successfully with the oil at zero degrees C.
We now have anthropogenic (cough…hack…gag) “scientific” explanations for all changes in Earth’s climate whether large or small, or averaged climate or weather. As long as research does not look past the end of its nose and funding is geared towards amplifying that bias. When will this waste of research dollars end????? When the dollars run out. Either because the funders have caught on, or bankruptcy. Toss up as to which comes first. When Trump’s appointees take full control of their agencies’ spending. SO many criticisms of this…. but what if we take them at their word instead? Hmmmm! Good point! Remove the earlier cooling from pollution and you have less warming trend! Certainly one must also then remove uncontrolled natural forest fire aerosols from the pre 1950’s temperature record too. Uh oh! Now we have no trend! And without the aerosol induced increase in sea ice from 1950 to 1970 the long term rate of sea ice loss would be less. I think the main question is: will Griff need to change his chart he’s about to post. Again. So the AMO had nothing to do with it? No anthropogenic in AMO. So that won’t do. NOAA and NASA still think AMO is ELMO’S brother. Can GHGs, Solar forcing, Volcanic Forcing, and Aerosols explain the observed increase from 1950-1975? Can you rule out that AMO or unicorns could explain the same observations? can you show these are the necessary causes and the only causes? Well, YOU would have to get the observations and SHOW that AMO was required to explain the observations or that Adding AMO improved the estimate, or that AMO and some other combination, excluding Aerosols and GHGs, did an equal or better job. Was sufficient to explain the observations. mere speculation that it might be something else, AMO or unicorns, isnt science. Getting the observations and showing that is science. SM, have you ever noticed your arguments are illogical? Lets start at your chosen beginning. The warming from ~1920-1945 is indistinguishable from that of ~ 1975-2000. A Lindzen point. Now the former cannot be attributrd to AGW; there was not enough delta CO2. Proof IPCC AR4 WG1 SPM figure 8.2. So explain your AGW attribution to the latter? You cannot. Logic fail. “SM, have you ever noticed your arguments are illogical? Lets start at your chosen beginning. The warming from ~1920-1945 is indistinguishable from that of ~ 1975-2000. A Lindzen point. Now the former cannot be attributrd to AGW; there was not enough delta CO2. Is that why there are so many “may haves” in the paper? They want it both ways. In the climate models predicting global temps they claim that aerosols continued unabated through the 80’s and 90’s in order to show greater climate sensitivity. unless I am missing something? Humans have not been changing arctic ice. Natural cycles did that. The whole premises of the paper is flawed. You first. We don’t need to prove the null hypothesis. Absolutely. Inuits have been doing it for centuries. On more serious note: Assuming that the Arctic ice coverage is directly related to the Arctic temperature then correlation to total (anthropogenic) carbon emissions is far worse than the correlation to the Arctic’s geomagnetic natural variability. mechanism is not known, possible: a) solar-UV-ozone, b) up to 30% of the MF decadal change is often due to the ocean floor tectonics c) just coincidence. Small point for your further edification vuk – you shouldn’t say “inuits”. Inuit is plural of the singular Inuk. How’s that for nit picking? Thanks, got it. Link to the photo “inuit-fishing-through-hole-in-the-sea-ice-for-halibut” is also incorrect since only one person is shown. In case you are interested, Eskimo is a Dene (and others) word that means ‘they speak another language’. Their language groups were so unrelated they had no easy way to communicate. In many cultures the name for themselves means ‘human people’ or ‘real humans’. In Africa the meaning of ‘ubuntu’ is ‘humanness’, the philosophy of being and behaving like a real human. For insights into N American parallels see the movie ‘Little Big Man’. This is a morphing of “pollution is bringing on a new ice age” scare of the 70s except it is used to explain an advance of ice rather than doom. 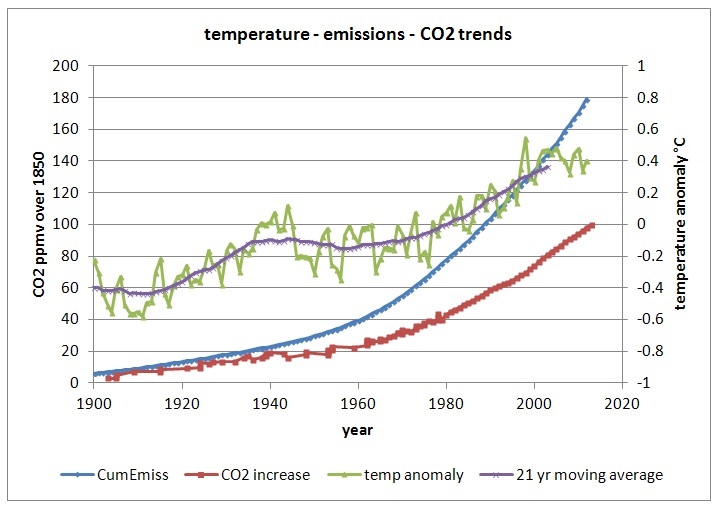 Isn’t this definitive proof that CO2 can’t be responsible for any 21st century warming? CO2 was responsible but only for “this” much! I’m not sure what “this” you are referring to? In order for CO2 to cause increased surface warming down-welling IR must increase to slow down the rate heat escapes the atmosphere. Since it is declining it can’t be responsible for any of “this”. Am I missing something? CO2’s GHE contribution, though small, (only “this” much), doesn’t go away just because downwell IR decreased. The decrease in IR is just going to make a far greater difference than an increase in CO2 concentration. You know I can’t accept sloppy imprecision that isn’t converted to standard units. How many Hiroshima equivalents is that? Thanks for the clarification! My post refers to the claim that there is warming being “masked”. The idea that human emissions are causing an increase in global temperature is refuted by the CERE’s data. I wasn’t claiming CO2 had no effect or that it isn’t a GHG. At least we know burning fossil fuels is a good way to hide or protect from the effects of burning fossil fuels. If aerosols had actually had a cooling effect on Arctic temperature during DAYLIGHT (summer) periods back in the 50’s and 60’s then DMI would have recorded lower temperatures during those DAYLIGHT periods. Such did not happen. I see no significant difference in summer Arctic temperatures between then and now. The AGU is flailing. OMM you are posting real data and using logic to refute this silly speculation. That is not what warmunists do, as illustrated by this paper. 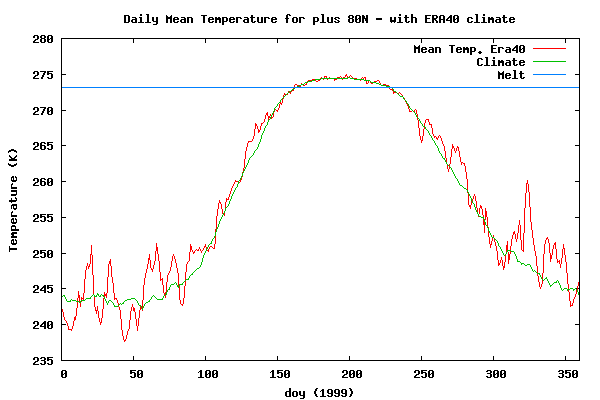 Warmunists MODEL their desired answer, then make up or Karlize data to suit the model. Some, like Mann’s hockeystick, even invent dodgy statistical methods to use on the made up treemometer data. I suspect the global aerosol emissions are nearly as high today from China, India other developing countries. Funny how they no longer have the same effect. All aerosols are equal, some aerosols are more equal than others. Those are communist aerosols. They never cause a problem. Just like communist CO2 is not a problem. Or C02 from any source other than humans or fossil fuels. Cecilia Bitz had better watch-out. Her level-headed and truthful comments could generate a “skeptic” label. If she were to become prominent a la Judith Curry, then the warmistas will unleash their sexist and hateful wolves. Ah, the old sulfates ate our global warming from 1945-1975 meme. Crazy how sulfates from oil and coal had no effect prior to the cooling, and that regulations on sulfur had demonstrable effects immediately! ok…so now air pollution is stronger than CO2/global warming….is there anything that’s not?? Someone better put Griff on the suicide watch list. When he discovers that even pals are acknowledging that 1979 was a high mark for Arctic ice, not the norm as he’s been pushing for the last couple of years, it won’t be pretty. 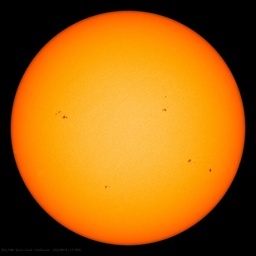 Ever since he got climateottered here, he/she/it has been hanging out more at Tony Heller’s blog. There are some good commenters there, but not at the general knowledge level here or at Judiths. Ristvan – Who might the “good commenters at Tony Heller’s blog” be? This is why Global Warming is so darned evil – it actually conspires to hide its presence from us, even as it’s destroying the planet. In the above image to the left is interconnected ice, to the right is a water channel where the ice was melted from underneath by slowly meandering surface current. If someone could please enlighten me? There is an agreement amount scientists that, CO2 makes up around 3% of Greenhouse gases. The amount of CO2 in the atmosphere is currently measured at around 400ppm. So far I haven’t been able to get from the CSIRO or NASA or the so called 97% group, is how much of that 400ppm is man made. A good guesstimate would be that we are probably responsible for as much as 100 ppm of the life-giving planet-greening gas. The estimated CO2 concentration ~1880 (not quite preindustrial ) was ~280ppm. So about 120ppm from all sources-land use change, fossil fuels, and cement being the big ones. Sorry I omitted to mention that the earth had around 4,000ppm of CO2 back when Dinosaurs roamed the planet and when the temperature was 4 – 5 Degrees C higher than today.. Data shows us that there is a large natural variability of CO2. I am not convinced that the 120ppm increase can be attributed to man. Peter S, you cannot take paleostuff as representative of today. Plants evolved. continents moved. We can be quite certain that the delta ~120 ppm since ~1900 is anthropogenic. Salby is way wrong (separate subject, dont take me there or you will trigger a rant about the damage nuts like he have done to the skeptical cause). But, it doesn’t matter because of sensitivity and greening. In judo, the idea is to use the opponent’s mass and position against them. Leverage. Disputing stuff that can be reasonably shown true is not the winner’s way. It is bad judo. Lets win this thing. That does NOT mean win every conceivable debating point. Nor every judo hold. Just win the killer judo holds that throw the opponent. BTW I used to practice judo, and saw an awesome tae kwon do exhibition (Korean eqivalent woth more moves than judo–sort of wrestling versus MMA) in Singapore. Further BTW, I have just outlined 2 CAGW judo throws to Vuk in this thread. Please learn them. So here is another question. Logically, I would have thought that CO2 is a product driven by earth’s temperature and not the other way around? BTW, I am getting tired of replying to your climate science ignorance. Suggest you study up some before returning. My last ebook Blowing Smoke is a place to start. My 2012 The Arts Of Truth is a backup, as climate change is a whole long chapter vetted by Richard Lindzen. Don’t get me wrong. I am still of the opinion that AGW will go down as the greatest con job of the century and there are certain people that should be held accountable. I have a strong reservation about its accuracy. Vuk, it is probably OK. First, note y axis is compared to the ~280 ppm preindustrial supposed baseline. So ‘0’ in 1900 ~ 280/290 ppm. Second, all the lit says about half of annual anthropogenic CO2 is biologically sunk. 100/180= 0.55. So, close enough (since there is uncertainty in the lit. What we know for sure is that the IPCC Bern model of saturating sinks is wrong. Except for the now rapidly cooling ElNino blip of 2015-16, there has been NO increase in GAST this century except by Karlization. Yet that same period represents ~1/3 of the total increase in atmospheric CO2 concentration since 1958 (inception of Keeling curve). Busts CO2control knob and climate models rather brutally. Simple, and easily verifiable. Remember, the battle is political, not scientific. In politics, sound bites count. Yes, thanks, I’m and was aware of the points you’ve made. My reservation is about the rate of CO2 absorption. I would assume that the rate of the CO2 natural absorption is relatively constant, whereby the current increased absorption due to the greening of the planet is meliorated by warmer oceans’ out-gassing. What graph shows is that before 1940 absorption appear to be minimal, while since 1960 just under 50% of added CO2 concentration is absorbed. Is there another short term effect, such as precipitations wash-out when concentration rises well above normal, or something else? Thing is that the natural stuff cycles in and out. No net difference. As much is absorbed as is emitted. It’s just exchanged. As for “outside influences”, Volcanic action is a small bit more than canceled by calcification. But what we emit accumulates in the system, be it soils (etc. ), oceans or atmosphere. Now, even so, I don’t think we are under any real threat. It’s conceivable we may double atmospheric CO2, but not so much that we would ever, ever redouble. It’s looking as if there is a warming thumb under the scale at ~1C to ~1.5C per doubling. If it’s that low, we are made in the shade. Heck, we’d be coming out of all this with net benefits. The Great Greening. Longer growing seasons. Milder winters, yet little impact on summer. And, as it is occurring primarily at Tmin during winter months in colder climes, negative impacts are minimized and vastly over-offset by the positive. But even so, atmospheric CO2 is increasing by ~0.5% per year because of that 3% we are emitting. It’s even better than fiddling with the temperature record. With the temperature record they have to justify their fiddling. Since there are no aerosol records, no need for explanations. Just select the amount needed to make the models look good. The new study supports the idea that air pollution is to blame for the observed Arctic sea ice expansion. So to expand the Arctic sea ice we need to increase air pollution? That is not a preferred option. 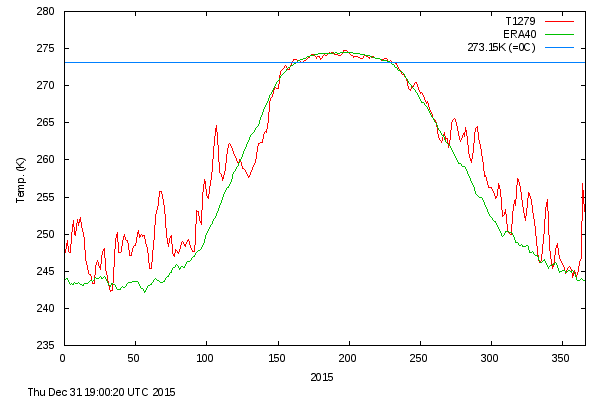 Best is do nothing and let the natural arctic cycle progress. See essay Northwest Passage, or the Wyatt and Curry stadium wave paper, or the Russian work. Mine was a sarcastic inference about the given sentence. If ice melt is due to air pollution, if it increase is due to air pollution. If it stay stable is due to air pollution too? The Chinese are causing enough pollution problems data to show … receding ice … advancing ice … ice staying the same. it got so cold all the ice melted and we burned to death…..
So…they found an increase due to pollution as large as the subsequent decrease. That means that we increased the ice, then decreased it by the same amount, and the current state of the ice should be the baseline instead of the anomaly. I like it. The decrease of ice in the arctic was the only real evidence they had for CAGW. Ok, ok, it’s models…but I still like it. Greg Flato, a senior research scientist with Environment Canada, (…) said a reduction in greenhouse gas emissions is needed to stabilize temperatures. Flato noted how unusual it was for scientists to brief the premiers and prime minister and then hold a press conference. Notwithstanding that if indeed aerosols and air pollution were helping the Arctic sea ice to recover, we’d just have to pollute way more to have the sea ice recover and since we have been told the lack of sea ice wrecks havoc on everything, its sudden recovery would solve all our problems. Since SO2 can overwhelm CO2 effects, by fiddling with the two knobs we can achieve Climate Nirvana. Sweet. I used to work in a building like that; the heat and a/c ran simultaneously side-by-side and thus equilibrium was achieved. Anything to ignore history and minimize soot/carbon black. Philosophically, what is going on here is a case of ‘data doesn’t match model output, so rather than scratch model, introduce new independent variable’. Of course this is deeply dangerous for green alarmism because it implies that climate change is all about ‘other stuff’ than CO2. In short the independent variables to ‘save’ the CO2 model, in the end invalidate it. The CO2 alarmist narrative depends on DEPENDENT variables. In particular the water based positive feedback that amplifies any temperature change and destabilises the climate to the point where its unlikely life would ever have evolved. Introducing independent ones to ‘save’ AGW in the end is a nail in its coffin. Wait. What? Sulfates caused lower temperatures and more ice formation from 1950 – 1975 but did NOT affect global warming which continued merrily on during that period? And why did the sulfates in 1975 stop what they were doing and reverse it so that warming started up again without impacting the global warming graphs? Methinks the sulfates are a lot more powerful than a little CO2 after all! from 1950 – 1975 … global warming which continued merrily on during that period ???? seriously you want to claim that ? After all, we didn’t stop burning fossil fuels in 1975.